Everyone has headaches and neck pain from time to time, but how do you know if it’s nothing at all or something you should be worried about? There can be a big difference between everyday aches and pains and serious conditions that need to be addressed sooner rather than later. Here are some surefire ways that we here at the chiropractic team in Bakersfield has to tell if you should just brush off the pain, or consult a chiropractic professional. Pain is your body’s way of letting you know something isn’t quite right. Every human has a different experience, but pain that you personally would classify as moderate to severe is a good indicator that it’s time to seek out help. This is especially true if it is lower back pain, neck pain, or joint pain. 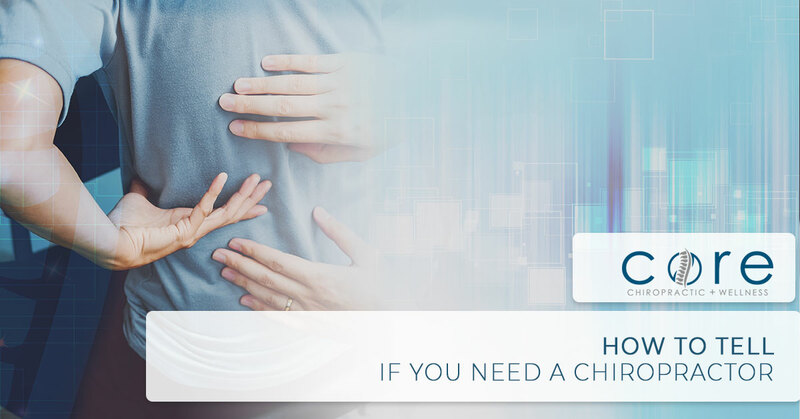 While it isn’t necessarily a symptom, it can certainly be a good indicator that you would benefit from a chiropractor. This typically is a sign that your hip/torso may be out of alignment, causing your feet to not be pointed straight while walking. If you’re having a hard time moving your body like you used to (not just getting old) then it could be time to go see a chiropractic office. This could mean that you have tense muscles that are not completely relaxing the way they should. There are a variety of factors that can contribute to joint pain, headaches, lower back pain, and other related problems. One of the main culprits is your work environment. Many people work in jobs that require them to be seated in the same place looking the same direction all day. Our bodies aren’t suited for this kind of work for hours on end. Working day in and day out in an office setting for years could be accelerating you toward the chiropractor’s office at a faster than normal rate. On the other end of the spectrum, if you work in an environment where you are putting your body under a lot of physical stress this can also accelerate your need for chiropractic work. Jobs like construction work, large catering set-up, or any physically taxing labor over time will take a toll on your muscles and joints. If you see these symptoms and/or work environments and think to yourself, “That sounds like me!” then it might be time to look into a good chiropractor. If you live near the Bakersfield area of California, we are one of the most qualified chiropractic services you can find. Here at Core Chiropractic and Wellness, we offer a range of services to help meet your needs. Our services include Prenatal Chiropractic, Massage Therapy, and much more!